Home / featured / Press Release / The Start-up that’s leveraging the power of a billion+ social media users! The Start-up that’s leveraging the power of a billion+ social media users! UK-based tech company Panache, today announced that the company will be launching a revolutionary marketing app for Micro Influencers in late March, 2017. The new app will provide companies with a seamless way to connect with social media Influencers whose audiences are in the range of 100 to 2000 followers – a group of Influencers who represent a huge target market that is often untapped by marketers that tend to focus only on Macro Influencers. Ibrahim would know. The 24-year old serial entrepreneur and innovator launched his first business at age 16 and hasn’t looked back in the years since that early success. He’s worked with a number of globally-recognized brands, including Microsoft and Phillip Morris International, and is familiar with the lack of intimacy that accompanies most macro Influencer marketing campaigns. He’s also on record with his belief that the Panache app’s ability to tap into that incredibly large Micro Influencer audience could make it the next Uber or Airbnb – with perhaps a billion in valuation. Influencers such as bloggers, YouTubers, and vloggers have influence due to their following on social media. Most of those followers keep up with the influences for either entertainment or informational value. For example, a food blogger might be an Influencer because he has many followers who read his blog for recipes or food product advice. A beauty blogger can have a similar influence by posting videos detailing beauty secrets or product reviews. Macro Influencers often have 10,000 followers or more. Many marketers have discovered that Macro Influencer marketing campaigns are not always as accessible or effective as some might think. While the consumers of years past could be moved by celebrity product endorsements, today’s buying public shows signs that it now places a premium on endorsements from people consumers trust. That’s where Micro Influencers enter the equation. While the average Micro Influencer’s target audience might be relatively small when compared to that of a Macro Influencer, that audience’s engagement with the Influencer tends to be far greater. The Micro Influencer’s audience is intimately familiar with the Influencer, and typically values his or her opinion. Many follow those Influencers because they are seen as trustworthy and authentic. As a result, the Micro Influencer offers a host of benefits that Macro Influencers cannot. Their endorsements carry weight with their audiences, since the relationship between Influencer and followers is based not upon some nebulous concept of “celebrity” but upon actual trust and close engagement. Moreover, Micro Influencer marketing campaigns are accessible to not just large companies with unlimited budgets, but smaller enterprises as well. 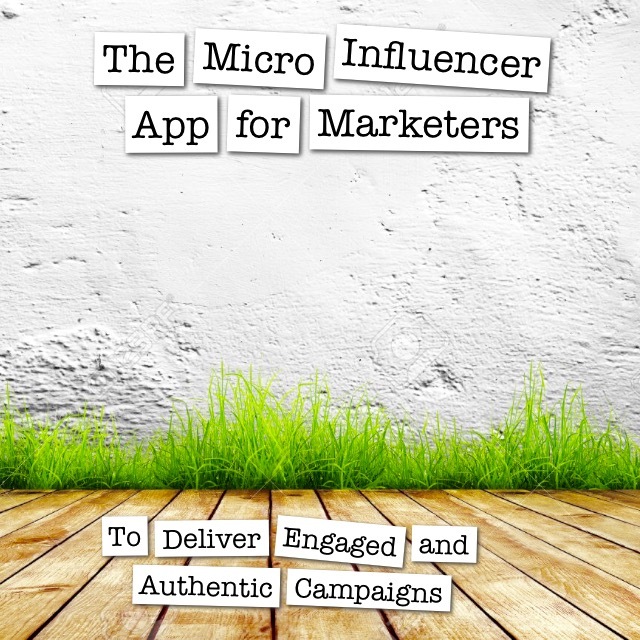 The Panache app is designed to connect companies directly with the Micro Influencers they need to help them gain access to targeted Influencer audiences. Companies using the app can list a specific campaign choosing from the launch date to being able to target via age, gender, location & interests. Social media Micro Influencers can locate these campaigns on the app, and join them with a simple click. The app then automatically schedules content posts for the dates selected by the promoting company, and the content is posted to the participating Influencer’s social media channel. Panache is currently in discussions with a number of investors and is actively looking for additional partnerships. If you’re an investor or a brand looking for new opportunities in innovative tech solutions, the company would love to hear from you. Mohammed Ibrahim has been a serial entrepreneur and innovator since the age of sixteen when he started his first commercial business. As the CEO of Panache, he has brought that innovative spirit to new markets and opportunities, in an effort to bring companies together with audiences that are often too segmented to effectively target through traditional marketing means.